Catch your breath by blowing glass to create a unique glass sphere bauble as a gift or for yourself! 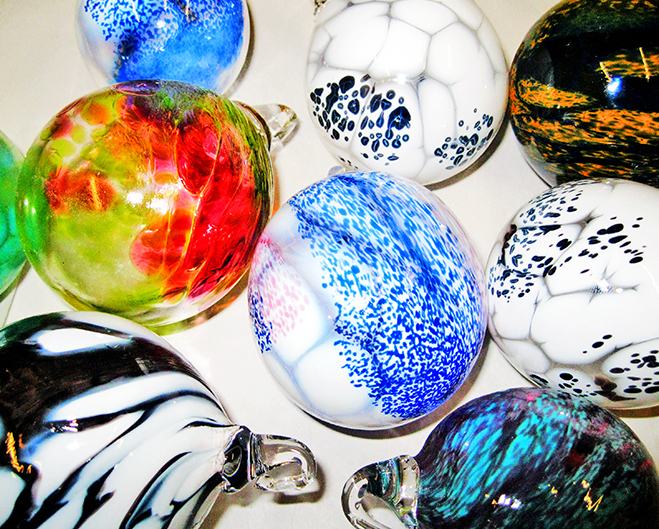 Students can choose two colours and create their own bauble under expert instruction from an experienced tutor. No experience is required. Suitable for all ages five years and over, individuals, family or groups. Children must be accompanied by adults. Please read the below information. Four bauble courses run each hour. 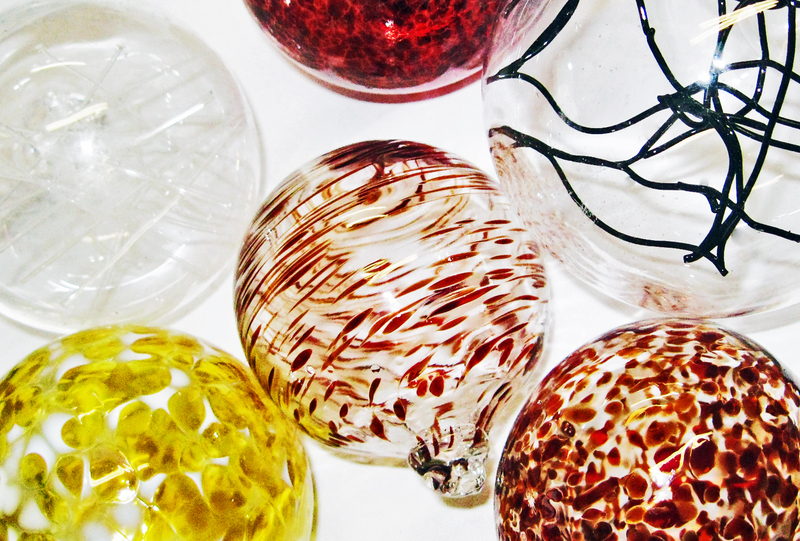 To create a blown bauble takes approximately fifteen mins. Please book your 15 minute time slot using the booking calendar above, or contact SALT by email to book a bespoke course date. To create a bauble takes approximately fifteen to twenty minutes. SALT run four sessions per hour. SALT provide an approximate time for your booking but recommend that you arrive at least 5 minutes before your allotted time. Glass work can be collected the following day once cooled down. Alternatively, P&P can be arranged. Fantastic experience! What a lovely Birthday treat, well recommended.